Really really pretty, Sylvie! Especially love that splatter! Hi Sylvie, ooooh that is a really pretty card! Love the colours - so spring like - and the butterflies. 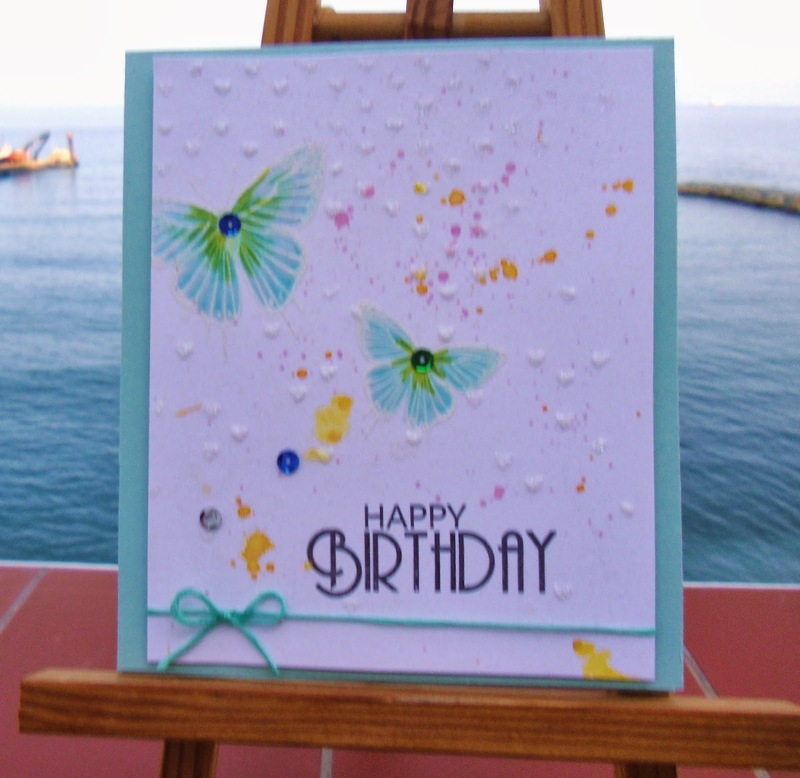 This is gorgeous Sylvie, such a beautiful and delicate design and the butterflies look so pretty. Sylvie, this is absolutely stunning !